We live close to a school, and this time of year is just so fun. I love watching the little (and big!) kids getting on and off of the school bus. It’s a time of eager anticipation and excitement about what can get accomplished in a new school year. While I don’t have school aged children, we begin to take on new routines at the beginning of the new school year as well. Our days become a little more structured as the long days of summer fade away. We also begin to get back on track with our eating habits – after a summer full of barbecues and ice cream runs, we’re slowly getting back to healthier eating again. It’s hard, but important! We notice major changes in our son when we’re eating well and when we’re eating junk. I found the importance of limiting “carb only” snacks when I had gestational diabetes, and I realized how much my son benefited from having a combination of healthy carbs and protein for snacks. While we’re out and about this fall, we’re focusing on bringing healthy and easy-to-pack snacks with us. When I say “on-the-go” snacks, I often mean I can literally grab it and go. No chopping, prepping or spoons required. My son could live on yogurt, but packing a yogurt tub with a spoon for a trip is just not happening with two little kids to take care of. 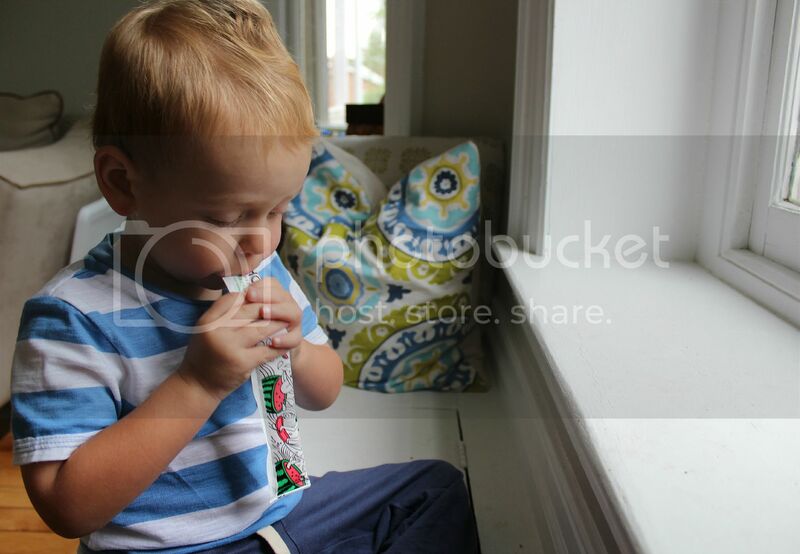 We LOVE the Chobani Kids® Tubes for this very reason! I love that I can feed these to my kids and know that they contain real fruits & vegetables, and nothing artificial. There’s SO much junk in kids’ food these days, it’s ridiculous! 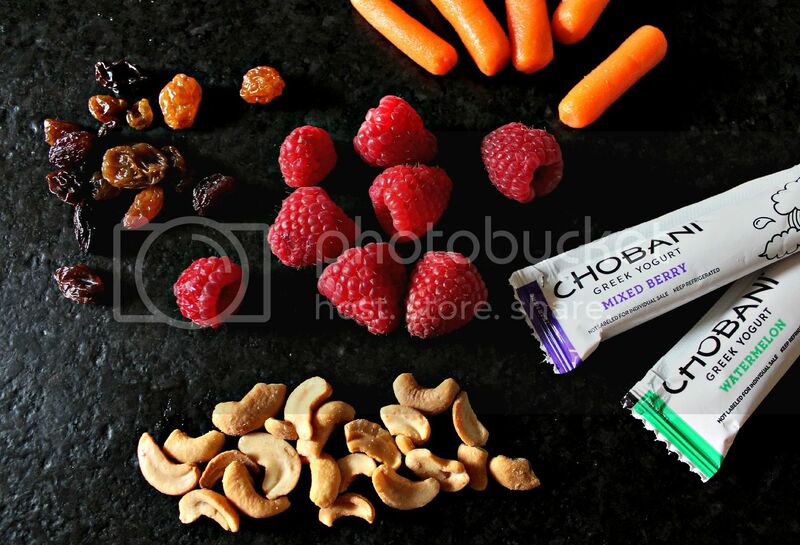 Chobani uses only natural ingredients, no preservatives or artificial flavors or coloring. 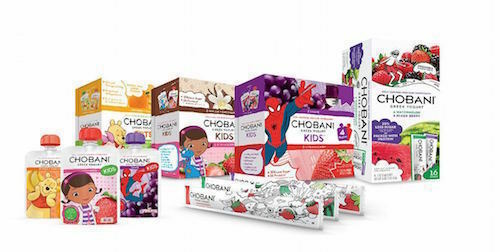 The Chobani Kids tubes also contain 25% less sugar than the leading yogurt tubes, and give 5 grams of protein versus other brands that have 2 grams. And hello – who doesn’t love a good coupon? 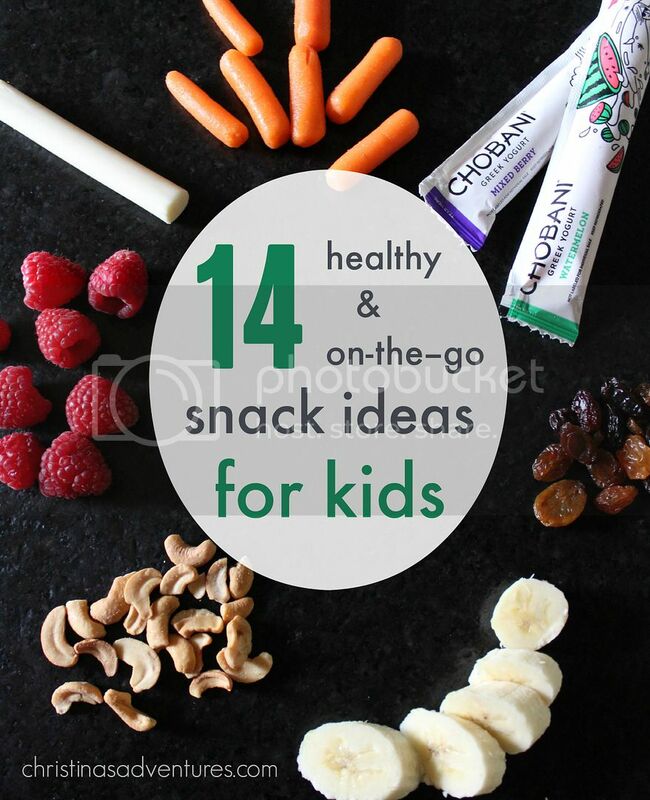 Make sure you check out Chobani Kids Savings to save on healthy snacks for your kids! Fruits seem one of the best choices for healthy snacks on the go, especially for kids. Thanks for sharing. absolutely! My son is obsessed with fruit – he could eat it all day! !